View More In Potholders & Oven Mitts - Page 5. 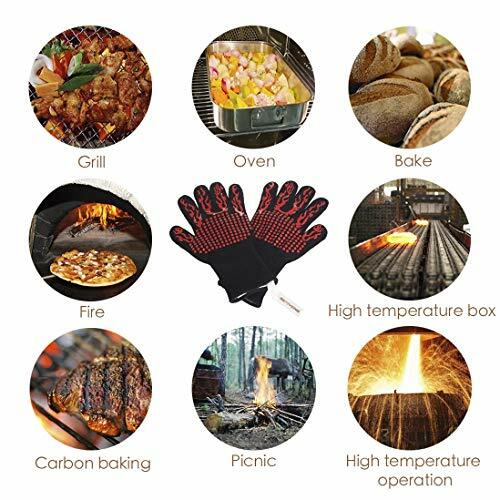 Dsfiyeng oven glove is the perfect solution to give you peace of mind when cooking. 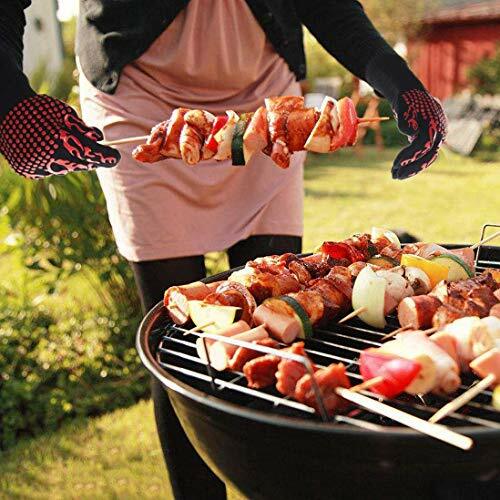 They make for agile handling of items while grilling.The aramid fiber,polyester and cotton gloves with soft cotton blend lining allow the user to comfortably handle hot items directly on a very hot grill.Safely handle items up to 932 degrees Fahrenheit. 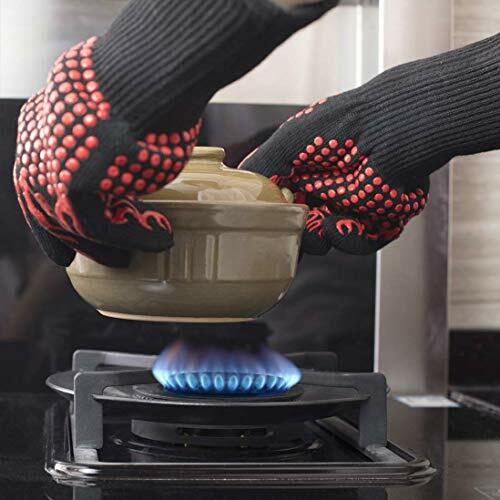 Heat safe up to 932℉(500°C),Exceptionally flexible and permits dexterous hand movements,Easy on and easy off,Silicone-textured surface for superior grip,Extra long design provides comprehensive hand and added ,wrist protection,Designed to last for years,the gloves are machine washable,5-Finger flexibility and Seamless design with non-slip ,silicone grip .Can be worn on left or right hand and covers up to your wrist. 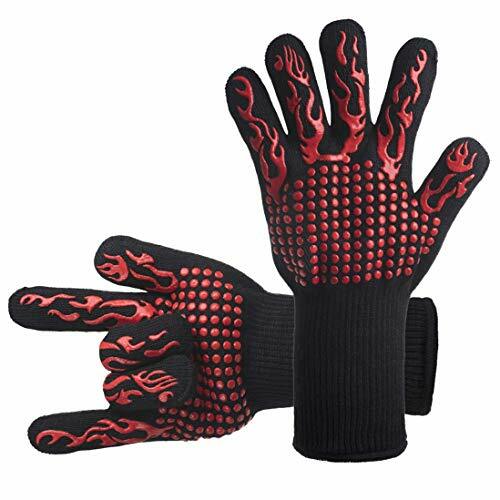 Perfect for BBQ,grilling,baking,oven work,smoking,changing light bulbs,carrying logs for fireplace,handling super hot items in the kitchen and outdoors,repair,welding,and much more. ★ Machine wash for easy and convenient cleaning. ★ It is not permanent protection against fire or heat resistant! ★ This product is not suitable for protection against hot liquids or hot gas! ★ Always keep the gloves clean. A buildup or dirt can affect the gloves performance! ★ Replace it if torn or damaged! ONE SIZE FITS ALL- One size comfortably fits most for optimal flexibility and freedom of movement.14 inch in length, extended design to protect wrists which is the perfect length. 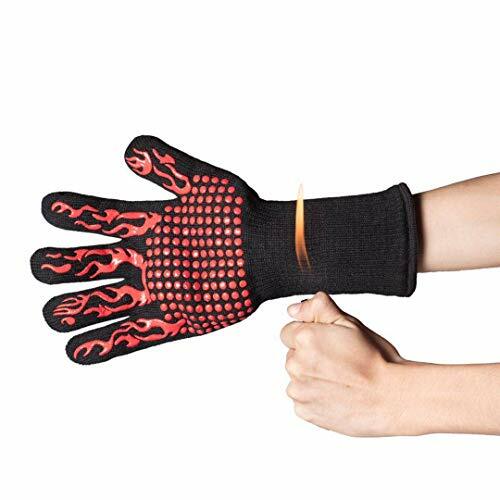 Our heat resistant gloves sufficiently cover your hands and arms to avoid that painful burns. 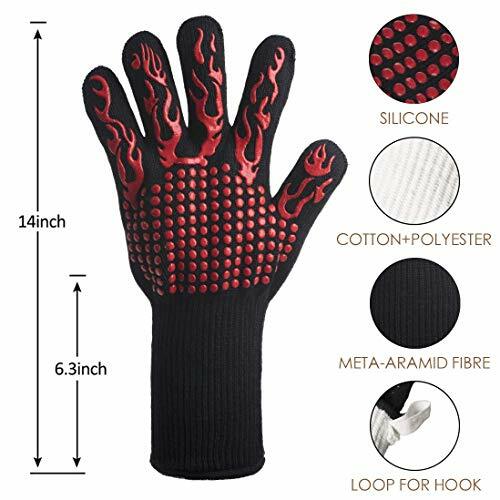 PREMIUM HEAT RESISTANT - Each mitt is crafted with aramid fabric, a type of high performance, heat resistant, and heavy duty synthetic known for its ability to withstand high heat and repeated use. 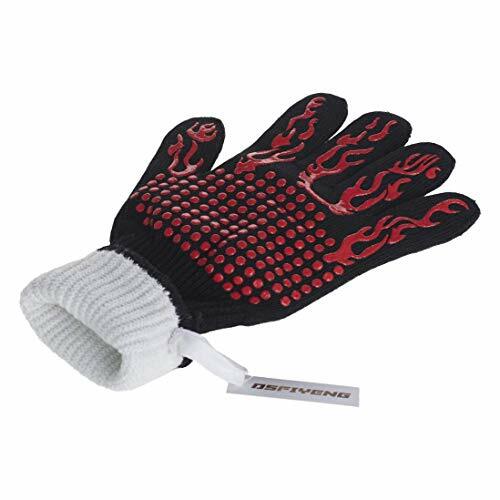 Each Inner liner is crafted with heat resistant polyester cotton, 2 - Level system protect your hands! SUPER GRIP AND CONTRAL:Five-finger design lets you manipulate tools, Textured design on the surface enables you to better grip items without slipping. The extra soft, breathable lining inside adds heat resistance and allows you to wear comfortably without sweating. MULTI-FUNCTIONAL: Great for barbeques, kitchen, rearranging fireplace logs, car repair, welding, light bulb changes and more! If you have any questions about this product by DsFiyeng, contact us by completing and submitting the form below. If you are looking for a specif part number, please include it with your message.